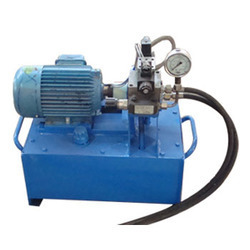 Catering to the needs of consumers as a manufacturer, trader, distributor and supplier, we are engaged in presenting Hydraulic Power Pack. These power packs are accredited in the industry because of their performance. In order to assure their quality, these power packs are perfectly checked on quality factors. We provide these power packs in number of stipulations along with customized facility as per the requirements of the customers.